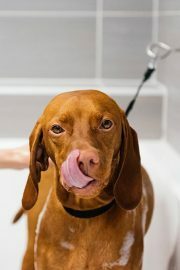 Reputable dog care facilities are well-maintained and designed with your dog’s comfort in mind. At Dogtopia, our playroom floors are made with compressed rubber, similar to what you would find in many high-end daycares for children. This special flooring is non-absorbent, resists odors, and allows for easy cleaning and excellent sanitation. 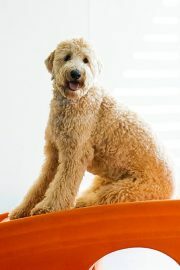 Also, the rubber is better for the long-term health of dogs’ pads and joints than the cement, gravel, or pebbles. Indoor playrooms are climate-controlled, offering a consistent experience all year long. It doesn’t matter if it’s sub-zero or sweltering outside; your dog will be comfortable and eager to play. 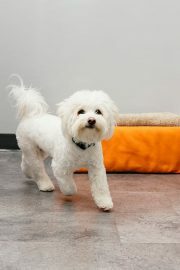 Dogs differentiate indoors versus outdoors by texture and smell, and they believe themselves to be outside when in Dogtopia’s custom-designed playrooms. 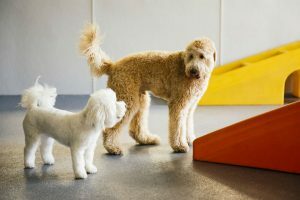 Indoor dog parks at reputable facilities tend to have walls separating the playrooms, which is beneficial in preventing and containing health issues as the majority of dog illnesses are airborne in nature. And because the playrooms are indoors, your dog will not come home covered in dirt or mud. 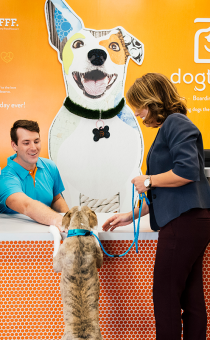 At Dogtopia, our rooms are 100% supervised at all times by a staff member fully certified in dog body language and behavior. We also group our playrooms by the temperament, play style, and size of our canine guests, so your pet will not be overwhelmed or bullied by dogs that are larger or more aggressive. 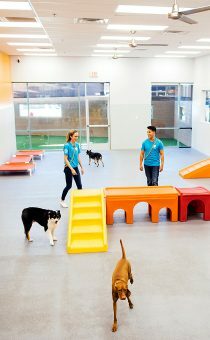 Indoor playtime supervised by trained staff allows your pet the opportunity to interact safely with their furry friends. Dog socialization is crucial for teaching your dog how to act around others, reducing anxiety, building confidence and curbing destructive behaviour. 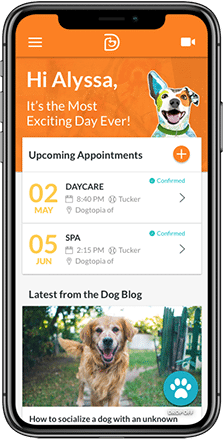 At Dogtopia we believe that indoor supervised playtime should not replace other activities such as walking and enjoying the park with your dog. By including daycare as one of the activities for your dog you are ensuring he will lead an enriched and fulfilling life. 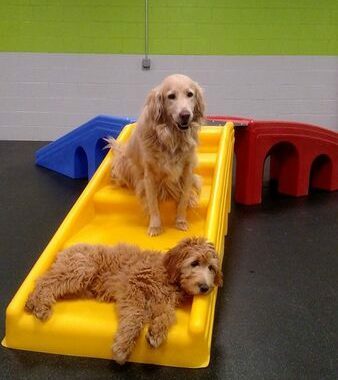 Learn about Dogtopia’s indoor dog playrooms in Mississauga, Calgary and Coquitlam.